Q: What comes out of the system nozzles to extinguish the fire, is it powder? All kitchen suppression systems must operate according to the UL 300 standard. UL 300 requires the use of wet chemical in kitchen suppression systems. The transition from dry chemical to wet chemical kitchen systems occurred due to changes in cooking oil/grease. When the system is activated, the wet chemical sprays onto the fire below and creates a chemical reaction called saponification. Basically this means that the fat on the grill or in the fryer turns into a kind of “soap” when it comes into contact with the wet chemical, which stops the fire and leaves it with nothing to fuel it. Q: What if my kitchen suppression system still uses powder? If your kitchen suppression system is still using powder, it is non-compliant and will need to be replaced or changed to a wet chemical system recognized as compliant according to UL 300. Q: How often does my system need inspected? Most kitchen suppression systems need inspected every six months. Additionally you will need to make sure you are having your kitchen exhaust hood cleaned regularly as well if you want to pass this semi-annual inspection. For more information about getting the most out of your hood cleaning, review these tips. Q: The fire department said my restaurant looks good, so why do I need it inspected again? When the fire department stops by any place of business, they are simply looking for current inspection tags. 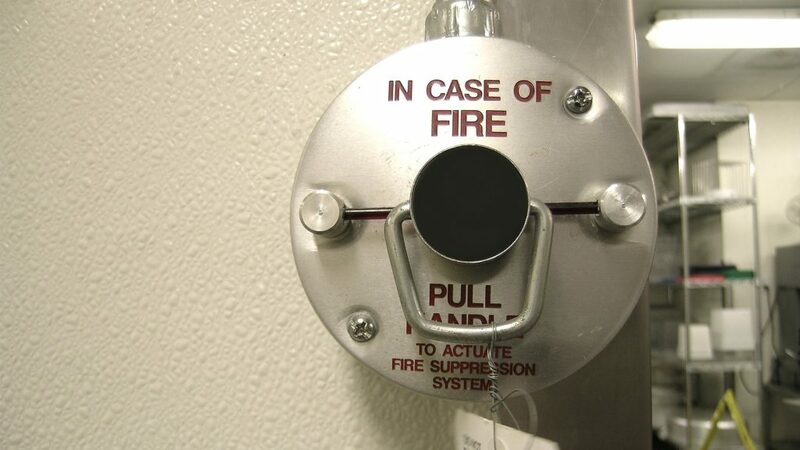 If they see your inspections are up to date, they are not checking on the compliance and condition of your fire protection equipment, as that is the job of the fire protection company that tagged it. If, based on their visit, you choose to skip your upcoming inspection or disregard the repairs or updates needed, your system will not receive a current inspection tag and will be considered past due or failing. Q: What if I don’t get my system inspected every six months? If you allow your inspections to lapse, the fire marshal or local authority can stop your cooking operations if they stop by for a surprise inspection and find your system non-compliant. Another possibility is grease build-up impeding the proper function of your system as the components start to stick, which can lead to costly repairs. Q: Do I have to call my fire protection company EVERY time I make changes? Yes! Every time you move appliances, add them, or change anything underneath your kitchen hood, you have to let your fire protection company know so they can make sure you still have proper coverage. Different arrangements call for different configurations of the nozzles and in some cases may require a larger or smaller chemical suppressant tank. A certified technician can assess your system and determine whether anything needs changed. You can also call ahead of time to have a technician help you understand if any changes can be made without requiring a reworking of your suppression system. The most important thing to remember is that your fire protection company is here to help! It is our job to help you pass inspection and meet all requirements. If you are worried your system is not up to code, please give us a call so we can help you be prepared and safe.